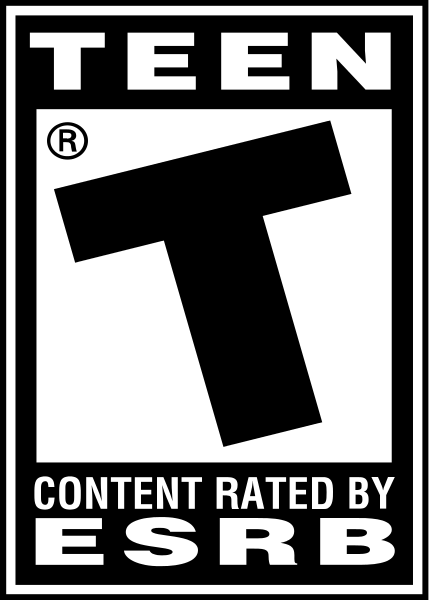 Rule the arena of the world's two most powerful fighting universes. 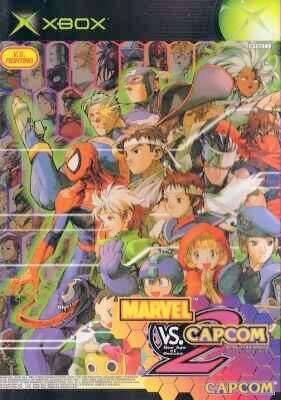 Marvel vs. Capcom 2 is, bar-none, the most insane tag-team fighting game on the planet! 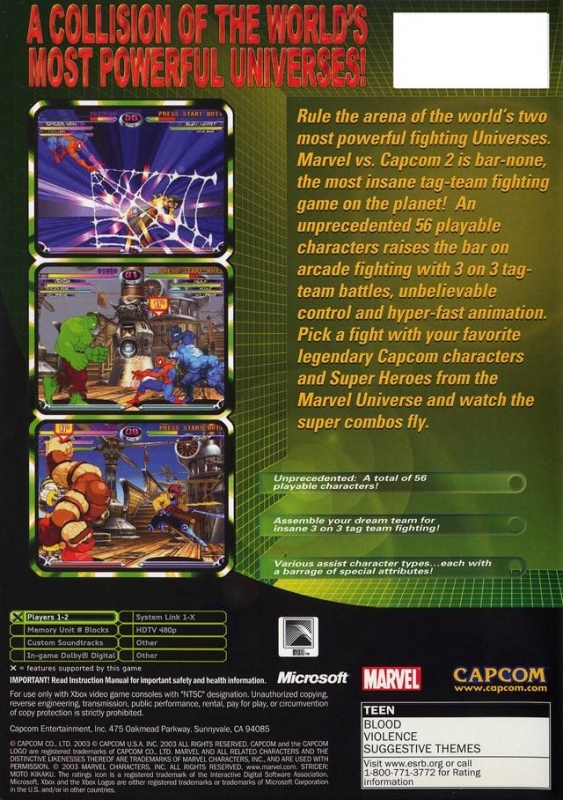 An unprecedented choice of 56 playable characters raises the bar on arcade fighting with three-on-three tag-team battles, unbelievable control, and hyper-fast animation. 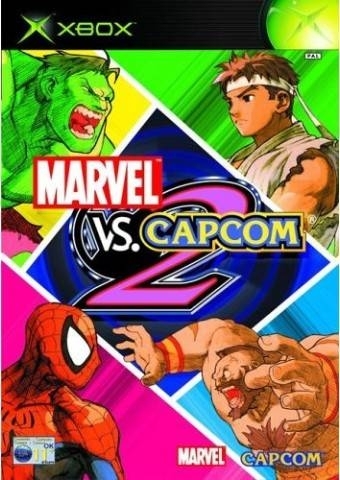 Pick a fight with your favorite legendary Capcom characters and super heroes from the Marvel universe, and watch the super combos fly.